EnviroSize Oilfield Services Ltd. is committed to providing a safe work environment to maintain the health and safety of Employees, Contractors, Subcontractors, Clients, Suppliers, Property, the Environment and the Public. 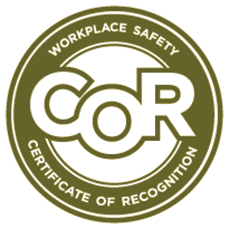 Our safety department works hard to ensure that our COR Safety Program is being implemented and that latest regulation requirements for personnel and equipment is always kept up to date. Having our programs carried out in a safe, organized, cost efficient manner is very beneficial to the client and to the company.